A UV Crosslinker irradiates samples with defined amounts of UV energy. UV Crosslinkers measure and control the ultraviolet (UV) radiation in DNA and RNA crosslinking procedures. It is designed to crosslink DNA or RNA to nylon, nitrocellulose, or nylon-reinforced nitrocellulose membranes. Crosslinking has been shown to significantly increase hybridization signals when compared to oven-baking. 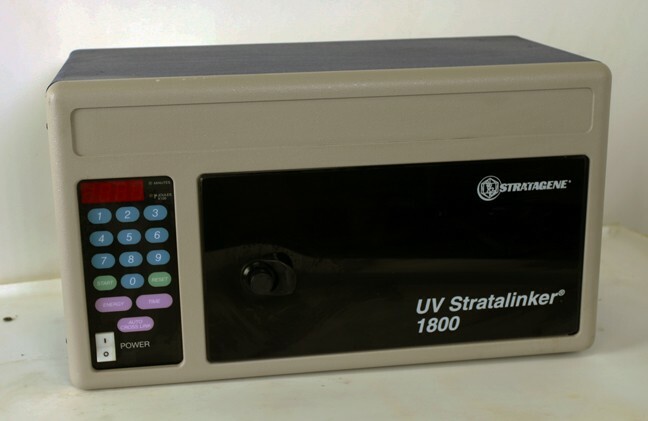 The Stratalinker® UV Crosslinker is one of the more well know products. Top manufacturers of UV Crosslinkers are Hoefer and Stratagene.